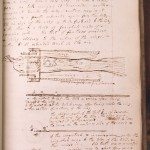 Darwin’s Commonplace Book is a remarkable source for the history of scientific speculation in the 18th century. 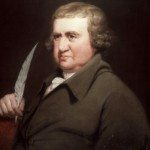 It reveals the imagination and creativity of Erasmus Darwin (1731-1802) and the ways in which he contributed to the sharing of ideas which characterised the Lunar Society. 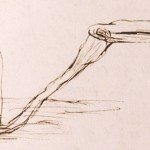 Darwin never patented his inventions and allowed others to use and transform his ideas into innovations. The book covers the years from 1776 until 1787 when Darwin lived in Lichfield, Radburn Hall in Derbyshire and Derby. 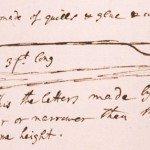 The exhibition has been written by Olga Baird and provides a selection from a number of Darwin’s drawings contained within the Commonplace Book. Some display his interest in practical solutions to economic and domestic challenges, such as the canal lift, garden plough, automatic water closet and stocking frame. 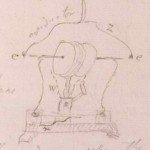 Others, for example, the rocket motor and steam wheel reveal Darwin producing designs that were translated into reality long after his death. 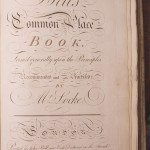 The Revolutionary Players Project is grateful to English Heritage for permission to photograph the Commonplace Book and to Erasmus Darwin House, Lichfield for allowing access to the volume. 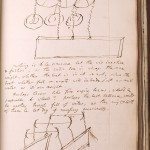 Erasmus Darwin’s Commonplace Book The Scope and Nature of Darwin’s Commonplace Book Artificial bird. P.32, 38. Bigrapher. P.53. Canal lift. P.58-9. Diving bell with washed air, pneumatic. P.61. Polygrapher. 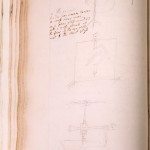 P.78. Electrical doubler. P.79. Rocket motor. P.82. King-Hele, D, Erasmus Darwin (1962). 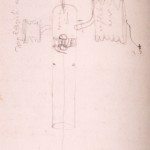 King-Hele, D, Doctor of Revolution: The Life and Genius of Erasmus Darwin (1977). King-Hele, D, Erasmus Darwin: A Life of Unequalled Achievement (1999). 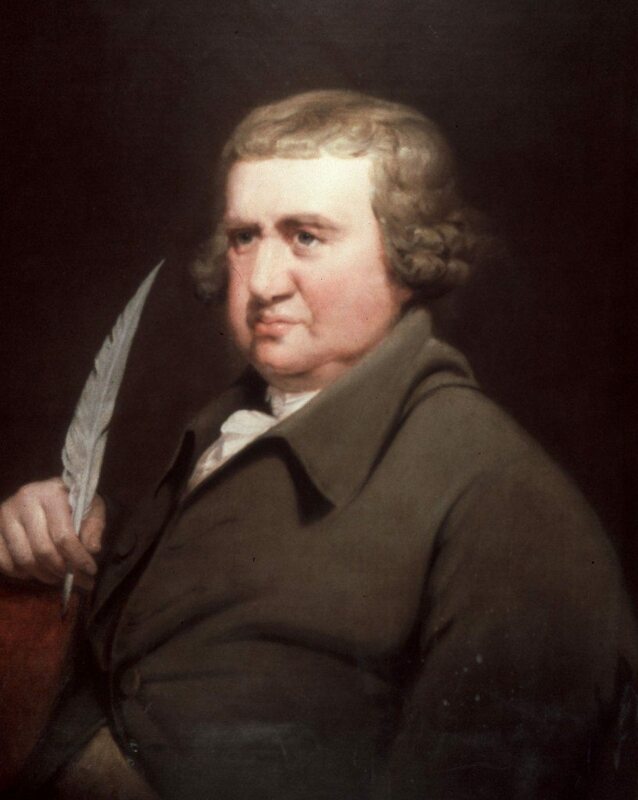 McNeil, M, Under the Banner of Science: Erasmus Darwin and his Age (1987).